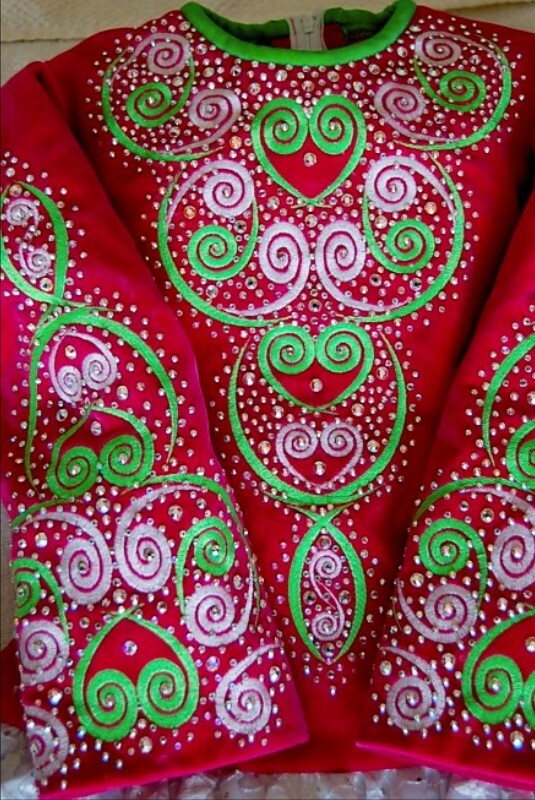 Raspberry Velvet Dress – 1,000+ Rhinestones!! Gorgeous raspberry velvet dropped-waist dress with tiered soft skirt made by professional dressmake Terrie Dluehosh!! PICTURES JUST DON’T DO THIS DRESS JUSTICE!!! Over 1,000 Swarovski Crystal AB rhinestones (mostly ss12 and ss16 for maximum sparkle!) adorn the bodice and sleeves of this beautiful eye-catching dress. 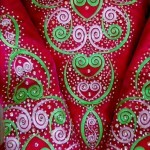 White 3-layer soft skirt has hundreds of larger Swarovski rhinestones in Peridot, Ruby, and Crystal AB. Skirt has kick pleats to move beautifully as your dancers kicks. Dress fully lined–about 1″ in let down. Skirt lined in bright lime green satin–separate bright green crinoline petticoat INCLUDED (dress can be worn with or without petticoat!!). 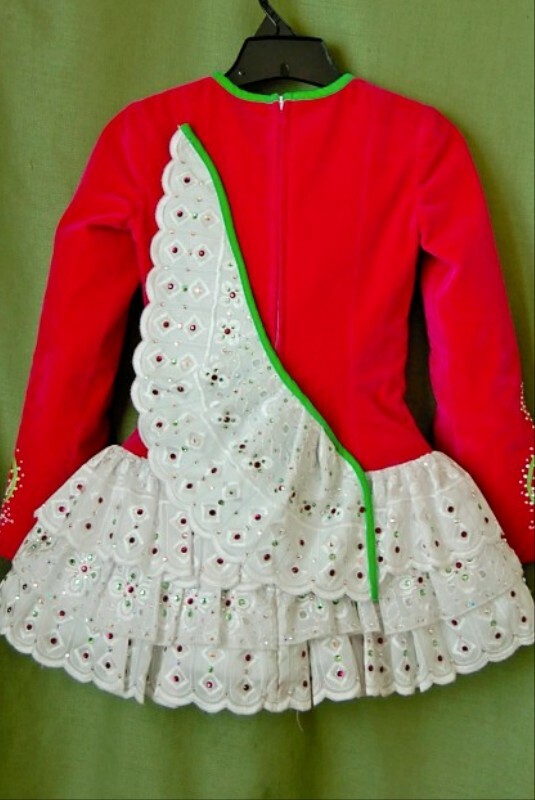 Also includes bright green spandex bloomers, white cape and crown (with additional Peridot, Ruby, and Crystal AB Swarovski rhinestones), small rhinestone tiara, 2 pairs of pierced earrings, and matching pink rhinestone heart hard shoe buckles. Dress is 6 months old and in VERY GOOD condition–very, very light dinginess on inside of skirt at zipper bottom, on back of skirt, and at edge of sleeves. Nothing visible from more than a foot or two away!! No odors–from a non-smoking home. Please email for additional information or link to snapfish album with many more pictures. PLEASE NOTE: outdoor pic was taken BEFORE little rhinestones were added!! 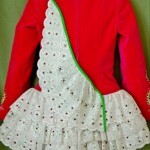 Skirt is dropped-waist–16.5″ from top of zipper to where skirt attaches. About 1″ of let out/down.